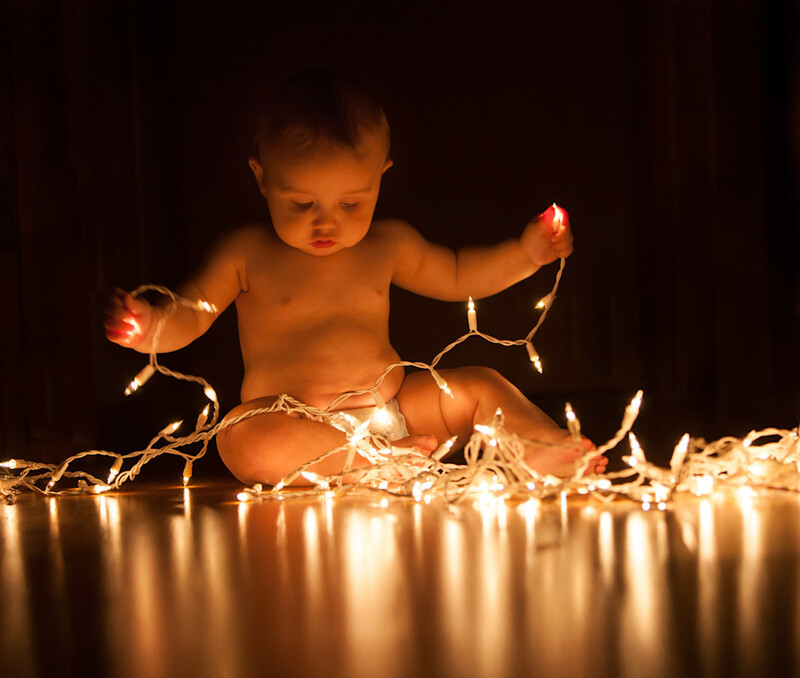 A young child is enthralled with (safe, low-voltage) Christmas tree lights; the reflective floor highlights and streaks the lights. Child in diapers enthralled with safe, low-voltage Christmas tree lights, sitting on a reflective floor which causes the lights to streak. Child is looking down at the lights.